Four bistoury knives with tortoiseshell guards. 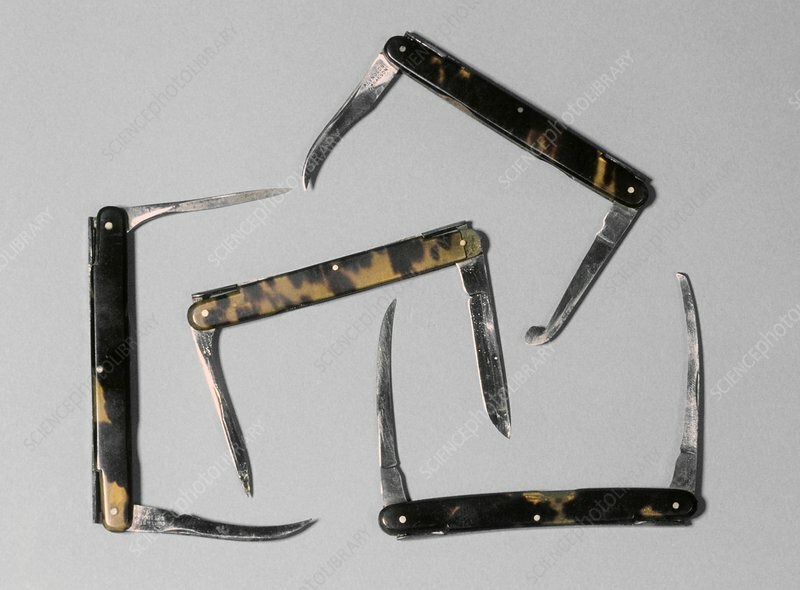 These knives were used for making small incisions during minor operations such as opening abscesses for drainage. They date from around 1850, England.